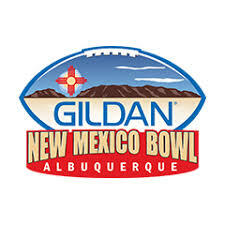 The 2017 Gildan New Mexico Bowl will see the Marshall Thundering Herd and the Colorado State Rams square off on Saturday. The game is being played at Dreamstyle Stadium. Kick-off is set for 4:30 pm EST and ESPN will have the coverage. New Mexico Bowl opponents Colorado State and Marshall followed similar paths on the way to Saturday’s matchup. Both teams started the season strong, then had lulls. Marshall opened the season 6-1 before a 1-4 slide to close the campaign. The Thundering Herd lost three games in that stretch by less than a touchdown. That includes decisions of two points to UTSA and one point to Southern Mississippi in the final two games. Colorado State opened 6-2, but went 1-3 down the stretch. They had losses of three points at Wyoming on Nov. 4, and a 59-52 overtime defeat against Boise State on Nov. 11. In that game the Broncos rallied from a two-touchdown deficit in 1:41. Colorado State salvaged the regular season and guaranteed itself a bowl bid with a 42-14 rout of San Jose State to end the regular season. Oddsmakers opened the Rams as -5.5-point favorites versus the Thundering Herd, while the game’s total opened at 58. Colorado State is now a 3.5-point favorite. The total is sitting at 59. Colorado State won its last outing, a 42-14 result against San Jose State Spartans on November 18. The Rams failed to cover in that game as a -32.5-point favorite, while the 56 combined points took the game UNDER the total. Colorado State lost its past three bowl games. They were, in order, the 2014 (Las Vegas), 2015 (Arizona) and 2016 (Famous Idaho Potato). The Rams’ last postseason win came in the 2013 New Mexico Bowl. A loss Saturday would mark three straight 7-6 finishes under third-year coach Mike Bobo. Bobo received a three-year extension through 2022 on Thursday. Colorado State plays with a style similar to that of the 2014 Marshall bunch. They finished third in the nation in scoring. The Rams average 501 yards of total offense per game. That is No. 10 in the nation. They score at a 33.8-points per game contest. QB Nick Stevens ranks No. 15 in the nation at 289.9 passing yards per game. Wide receiver Michael Gallup accounts for 112.1 of that. Gallup was one of three finalists for the Biletnikoff Award. That award is given to the nation’s top wide receiver. The Rams lost offensive coordinator Will Friend. He is joining new head coach Jeremy Pruitt at Tennessee. The New Mexico Bowl is also the final game for Rams defensive coordinator Marty English before he retires. Marshall was a 28-27 loser in their most recent outing at home against Southern Mississippi Golden Eagles. They failed to cover the +0-point spread as underdogs, while the total score (55) made winners of OVER bettors. Marshall is 5-0 in bowl games since 2009. The Thundering Herd missed the 2016 postseason. Saturday’s contest marks a chance for the outgoing seniors to finish their careers at 3-0 in bowls. All-Conference USA defensive back Malik Gant and the Marshall defense prepare to slow Colorado State’s potent passing attack. Senior quarterback Chase Litton aims to attack a Rams defense that surrendered 27.5 points per game.